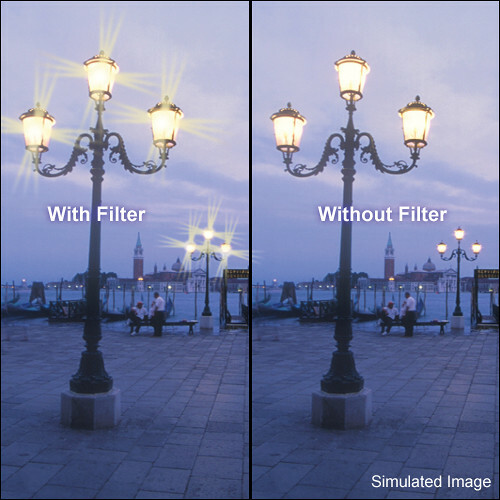 Tiffen Hollywood Star Filters create multiple points of light, or "stars," streaking outward from a central light source. Hollywood Star Effects are best used with a point light source such as a candle, match, streetlight or match. They are used to frequently achieve a romantic sense or specific mood. For those who shoot weddings, you'll find this filter quite useful.